Las Aguilas de Diablo honors the legacy of Scouting’s highest awards by providing multiple scholarships to qualified candidates. • Have earned the rank of Eagle Scout, Quartermaster, or Venturing Silver in the Mt. Diablo Silverado Council. • Provide an official transcript of grades for the last three years. • Be a graduating high school senior or an undergraduate college student no later than completion of the junior year. • You may receive the scholarship one time only. • Have demonstrated leadership ability in Scouting and a strong record of participation in activities outside of Scouting. • Provide a statement by the applicant clearly stating why he believes he needs financial aid. The statement must be signed by the applicant and countersigned by the parent. • Provide a recommendation letter from a volunteer or professional Scout leader who knows the applicant personally. This is the only endorsement required. Endorsements from teachers, counselors, etc. should not be included. All Scholarships Are Due April 1st. Meet some of this year’s scholarship recipients. Academic scholarships are based on school and Scouting participation, academic performance, and financial need. Applicants must score a minimum 1800 SAT (if taken before January, 2016), 1290 (if taken after March, 2016), or 28 ACT to apply. These include a varying number of NESA scholarships, and a varying number of Mabel and Lawrence S. Cooke scholarships. The Mabel and Lawrence S. Cooke scholarships are awarded annually and include four $25,000 scholarships (payable at $6,250 per year) and one $48,000 scholarship (up to $12,000 payable for four years), plus a varying number of others. NESA offers an additional academic scholarship called the $50,000 NESA STEM scholarship (up to $12,500 payable for four years) to an applicant who plans to major in a science, technology, engineering, or math field. The second type of NESA scholarships are the merit scholarships. Merit scholarships are based on school and Scouting participation, and community service. These awards cover the $2,000 and $4,000 Bailey scholarships, the $2,500 Robert and Rebecca Palmer scholarships, the Michael S. Malone/Windrush Publishing journalism scholarship, and the $5,000 Hall/McElwain merit scholarships. 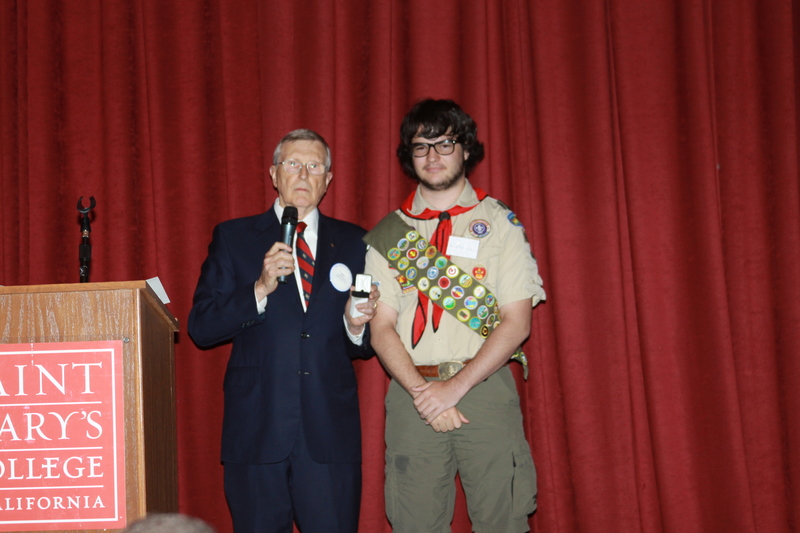 Each BSA region reviews applications and awards a varying number of these scholarships to local Scouts. Description & Requirements: An Eagle Scout; a Brotherhood or Vigil Honor member of the Order of the Arrow; a high school senior or a college-age Arrowman under 25; currently registered in Scouting and an Order of the Arrow lodge; and have the approval of the OA lodge adviser or chapter adviser. Applicants must attend or plan on attending a fully accredited college or university and be seeking an associate, bachelor’s, or master’s degree. Applicants must submit one letter of recommendation with their application. Awarding Agency: Stanford University, Stanford, Calif.
Stanford University awards scholarships based on a family’s demonstrated need, not on merit. Students initially receive financial aid from a general scholarship fund. However, funding is sometimes drawn from named funds like the Dofflemyer Scholarship, which gives preference to Eagle Scouts. Therefore, applicants who are Eagle Scouts need only follow the university’s standard application process to demonstrate eligibility. Description & Requirements: This scholarship program is open to registered, active members of Boy Scout troops, Venturing crews, and Sea Scout ships. 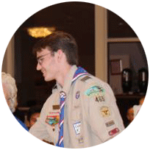 Applicant must have received the Eagle Scout Award, the Venturing Silver Award, or the Sea Scout Quartermaster Award and must have demonstrated practical citizenship in school, Scouting, and the community. Application must be submitted through a single, local VFW post. 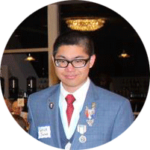 Description & Requirements: The American Legion awards a $10,000 scholarship to its Eagle Scout of the Year and three second-place scholarships of $2,500 each; awards may also be given at the department (state) level. Applicant must have received the Eagle Scout Award and the religious emblem awarded by his religious institution and must have demonstrated practical citizenship in church, school, Scouting, and the community. Applicant must be the son or grandson of an American Legion or American Legion Auxiliary member, or he must be a member of a Scouting unit chartered to a Legion post, an Auxiliary unit, or a Sons of the American Legion squadron. 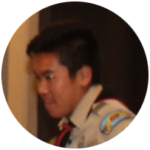 Description and requirements: Each year, the National Catholic Committee on Scouting awards scholarships to five outstanding Catholic young men or women who are high school seniors and currently registered and active in Boy Scouting, Varsity Scouting, or Venturing. The applicant must have earned the Eagle Scout Award or the Silver Award; have earned the Ad Altare Dei or Pope Pius XII religious emblem; have held a Scouting leadership position; and have served in his or her home parish. Description & Requirements: The Eastern Orthodox Committee on Scouting awards three one-time merit-based scholarships each year to Eastern Orthodox Scouts. Applicant must be registered and active in Boy Scouting or Girl Scouting and must have earned the Eagle Scout Award (Boy Scouts) or the Gold Award (Girl Scouts). Applicant must be active in an Eastern Orthodox church and have earned the Alpha Omega religious emblem. One scholarship, funded by the Russian Children’s Welfare Society, is reserved for applicants of Russian descent.